A platform designed to empower people living with Dementia, their families & carers. The MindMate Apps are not your ordinary Alzheimer’s or Dementia Apps. MindMate is like a friend and guardian angel - Always ready to help and always happy to entertain. Our platform consists out of three different Apps. One for the individual living with dementia, one for (family) caregivers and one especially designed for residential care. Even more important, MindMate is already making a big difference in the life of thousands of people worldwide. 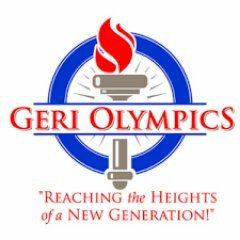 West Virginia Geri Olympics promotes wellness, active living and quality of life through adapted competitive sports. West Virginia Geri Olympics has received global recognition and is being used as a model for similar events in other states and around the world with partners in Czech Republic, Scotland and Canada. The program was featured in an invited symposium at the World Conference on Active Living in Glasgow, Scotland, in August 2012. Additional presentations have been made in Prague, Valencia and Spain. There are a variety of financial hurdles that people face during the process of aging. Some of these hurdles include people preparing to live out their senior years inside their own home, the risk of financial fraud, and the cost of long-term care for the elderly. For more helpful information about these topics and many more, please visit https://www.moneygeek.com and follow the link for Family & Living. A challenge for senior citizens who embrace the computer age is knowing how to avoid online fraud. Although people of all ages are at risk, statistics show that when it comes to online safety, seniors are more vulnerable. In fact, according to the Department of Homeland Security, “seniors are defrauded at twice the rate of the rest of the population.” Yes, there are swindlers out there — based in another country or maybe even in your neighborhood — who want to steal from you or your loved ones. But there are also reliable ways to spot a scam and steer clear of fraud. Here, we explain common scam types and show you how to safeguard your valuables, savings and online information.